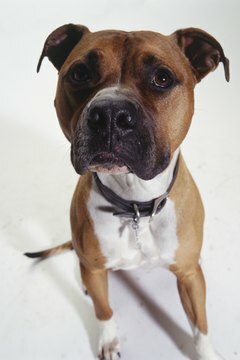 The "pitbull" category of dogs includes several breeds, the most common being the American Pit Bull Terrier and the Staffordshire Bull Terrier. Pitbulls are medium-sized dogs, descending from bulldogs and a variety of terrier breeds, and are known for their friendliness towards humans, yet aggressive behavior towards other animals. They are naturally very lean and muscular, although this varies by breed. Owners often strive to add muscle mass to their pitbulls, which actually requires very little effort. Establish a diet of high quality food that contains plenty of protein. 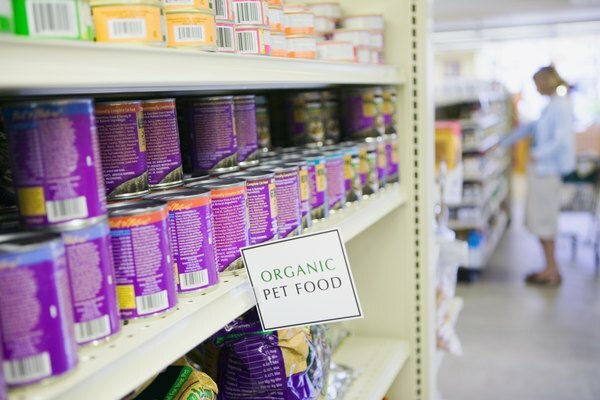 Organic and natural dog food rich in amino acids is often the best choice, particularly with meat as the primary ingredient. Dry kibble tends to offer greater nutritional value than canned food, and it is better for pitbulls' jaws and teeth. Another option is raw meat, which is both natural and extremely healthy for most dog breeds, including pitbulls. Some owners put their dogs on a diet consisting entirely of raw meat, while others merely supplement dry kibble and other dog foods with occasional raw meat. Exercise the pitbull regularly. Walks are the most common type of exercise, and pitbulls should be walked at least a half mile per day. Build up their endurance over time by increasing the length of the walks, and by adding in short jogs. Some trainers also incorporate a weight pull routine in which the pitbull wears a harness and drags weights for short distances. According to Pit Bull Lovers, the weights should start in the range of three to five pounds, and eventually be increased by one or two pounds. After that, the distance of the weight pull routine can be increased. 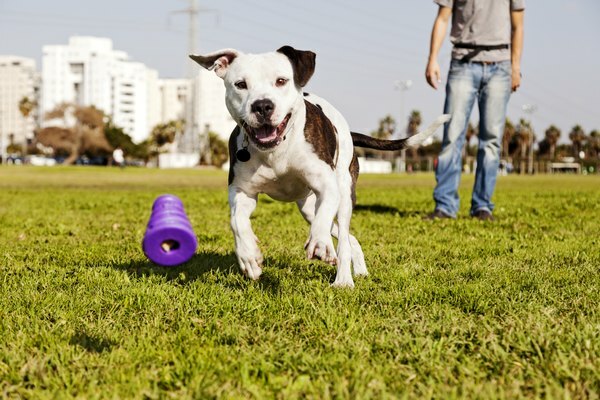 Maintain a living space that promotes physical activity for the pitbull. Allow it to roam indoors or in an enclosed outdoor area. If you have the space, consider setting up a spring pole--a toy that they can jump up to and bite down on--to encourage exercise even when you are out of the house. Always leave plenty of fresh water out as well, particularly because pitbulls are very susceptible to dehydration and heatstroke. Keep your pitbull on a leash when it is not in an enclosed area. While they are not typically aggressive towards humans, they are highly aggressive towards other animals. Never exercise a pitbull under the age of 18 months, as it can harm their developing bodies. Also, if you set up a spring pole, make sure that it is low enough to the ground so that the pitbull's legs can touch the ground while biting down.